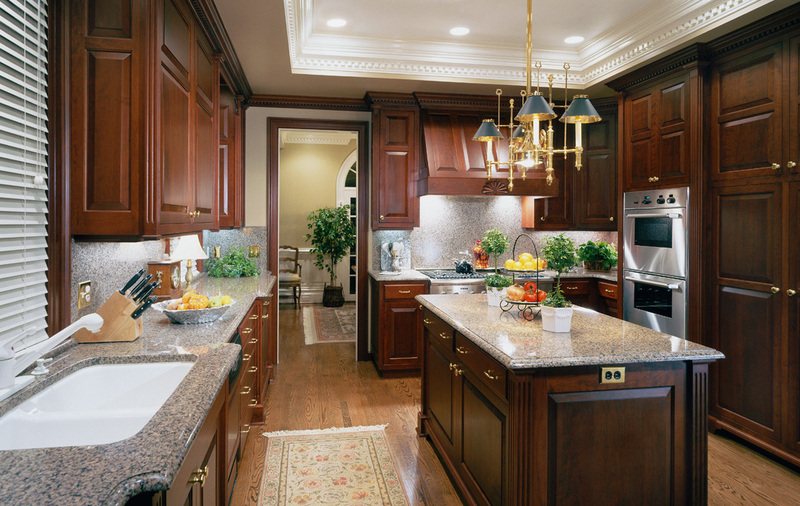 When elegantly formal hardwood cabinetry is the appropriate appointment for a classic home, traditional woods, with traditional finishes and furniture-quality details are of utmost importance. The stained cherry cabinets created for this kitchen, complement the extensive cabinetry and paneling that we designed and crafted for rooms throughout this Georgian style home. Fluted columns, raised-paneling, and hand-carved accents, all repeat the decorative elements which characterize the extensive paneling and cabinetry we created for all of this home’s living spaces.